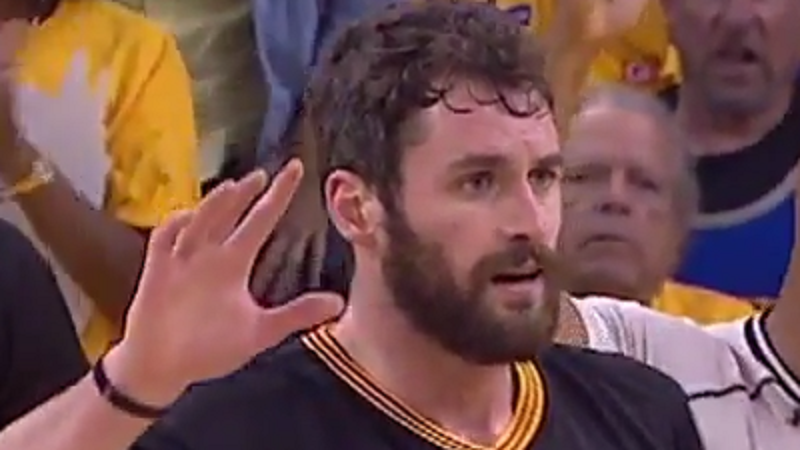 Poor Kevin Love just can’t catch a break. It’s no secret that the starting Cleveland Cavaliers power forward has struggled to find a consistent, productive role with the team this postseason — and the Internet knows it too. It’s been nearly 60 years (1964 Browns) since the city of Cleveland won a major professional sports trophy. Needless to say: the fans’ level of desperation has gotten to the point that they are willing to do just about anything to end the drought — including offering money to keep an individual, whom they deem a liability, off the court. The GoFundMe campaign goal of $10 million was launched by an individual named "Giles Debenham", and the description of the crowdfunding platform is written as: "Kevin Love is playing like a bum and just taking up room on the court. 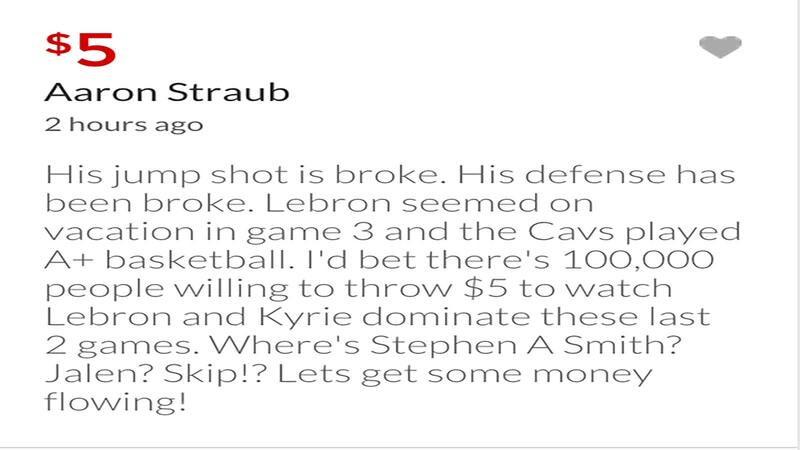 Pay this man to take a seat and let the Cavs win these finals!!" Desperate times call for desperate measures, Cavaliers fans, only $9,999,980 to go!